I’ll read anywhere, though I particularly enjoyed reading during my last vacation. 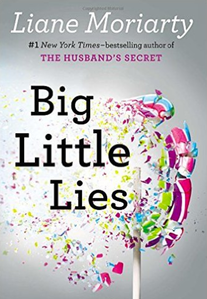 I went to St. Lucia and finished Liane Moriarty’s Big Little Lies, which I truly enjoyed. The hype is worth it. So is the hype about St. Lucia. 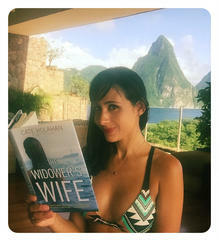 Here I am reading my own book in this picture because The Widower’s Wife is coming out in paperback and, you know, marketing. Most of the time, I was actually reading Big Little Lies, though. Inspired by my vacation reading, my challenge for The MissDemeanors this week was to show themselves reading in a favorite place. See their photos below! Tracee de Hahn: I love to read in cafes and particularly in cafes in cities, and even better in a cafe in Paris near a bookstore where I have bought a new book. 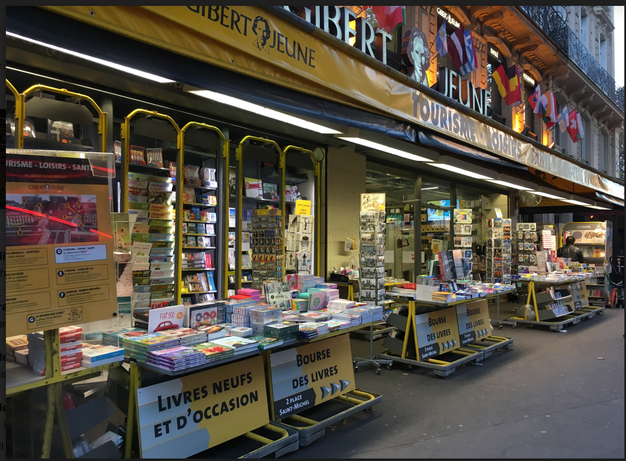 I’ve spent many many hours and days reading at one of the cafes at St Michel, just across from this Gilbert Jeune bookstore. As a testament to this, I have many many books in French which I apparently couldn’t live without. Most histories. Surely one day I will read them all! (Cate: Tracee, C’est magnifique! J’espere qu’un jour je pourrai aller visiter les librairies Francaises.) 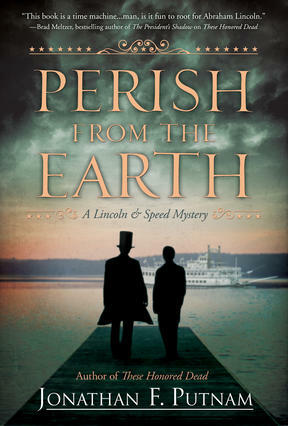 C. Michele Dorsey: I have loved reading at the beach since I was old enough to read, although I will read anywhere. 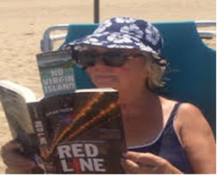 Here I am at Race Point Beach in Provincetown, Massachusetts enraptured by Brian Thiem’s first book, “Red Line” using a No Virgin Island bookmark. (Cate: Red Line is such a great read, as is Michele’s acclaimed, Publishers Weekly STARRED reviewed, Sabrina Salter mystery series.) 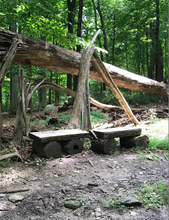 Susan Breen loves reading in the woods. (Cate: Who wouldn’t love reading in these woods? Is one of those trees where Maggie Dove found Marcus Bender? ;-)) D.A. 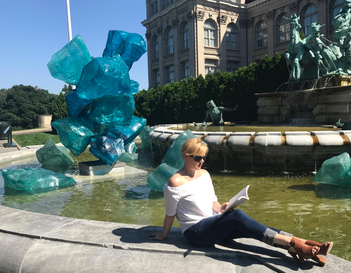 Bartley: Reading Ruth Rendell’s Dark Corners in front of Blue Polyvitro Crystals by Dale Chihuly at the New York Botanical Garden. (Cate: Great SETTING!) Gardens are favorite places of the MissDemeanors. 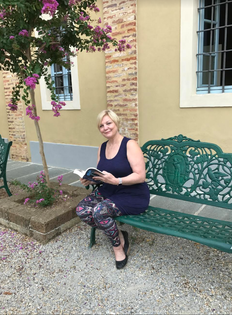 The picture below is of our lovely agent and acclaimed author Paula Munier reading in Cherasco Italy. (Che Bello!) 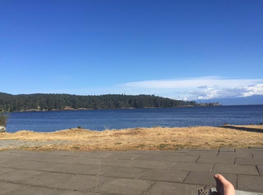 Robin Stuart was recently reading in Sooke, British Columbia (the importance of will be revealed in an upcoming blog post). When traveling, she reads outside–cafes, poolside or, as in this case, beachside. When she’d home, she most often reads in bed where the yard work can’t distract her. 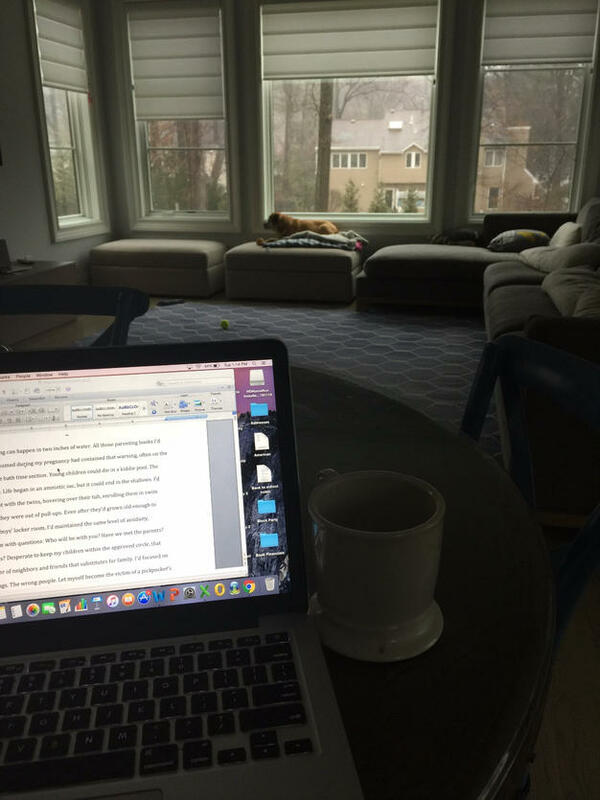 (CATE: I want to know what was happening in that intriguing setting) And below is a favorite reading nook of Lefty Award winning author Alexia Gordon. All you need to know is that it has good food and beverages. 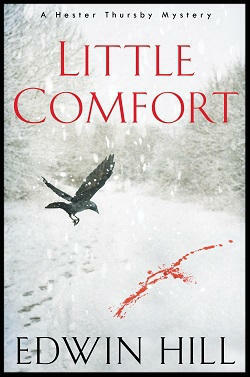 What else does a writer need?Tell us, where do you read?